This system can be said to be a very specialised version of a cryptographically secure, transaction-based state machine. 4.1. World State. The world state (state), is a mapping between addresses (160-bit identifiers) and account states (a data structure serialised as RLP, see Appendix B). 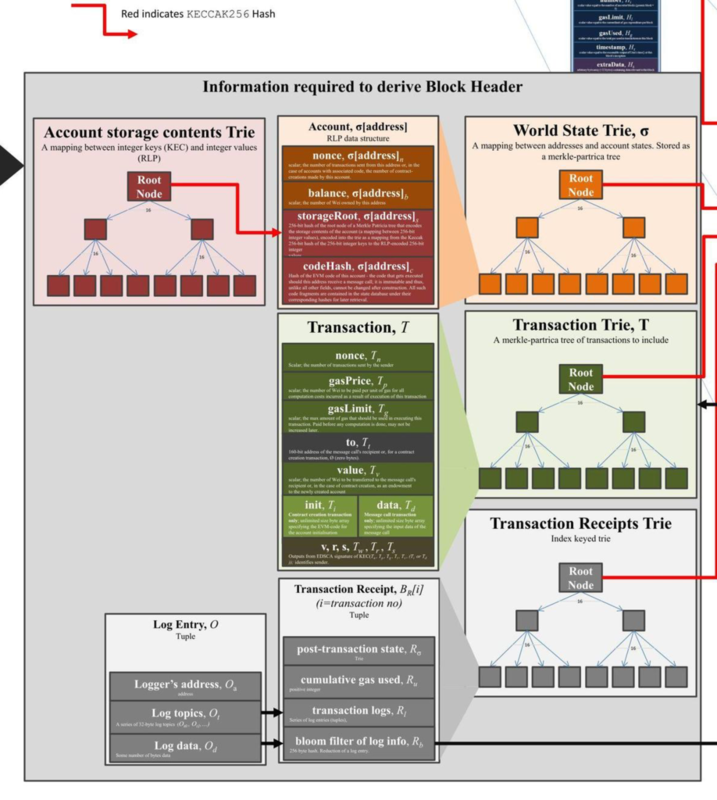 Though not stored on the blockchain, it is assumed that the implementation will maintain this mapping in modifed Merkle Patricia tree (trie, see Appendix D). A scalar value equal to the number of transactions sent from this address or, in the case of accounts with associated code, the number of contract-creations made by this account.